Being sold as spares or repairs due to short MOT (End of April 2019) and work needing to be done including lights, welding etc. 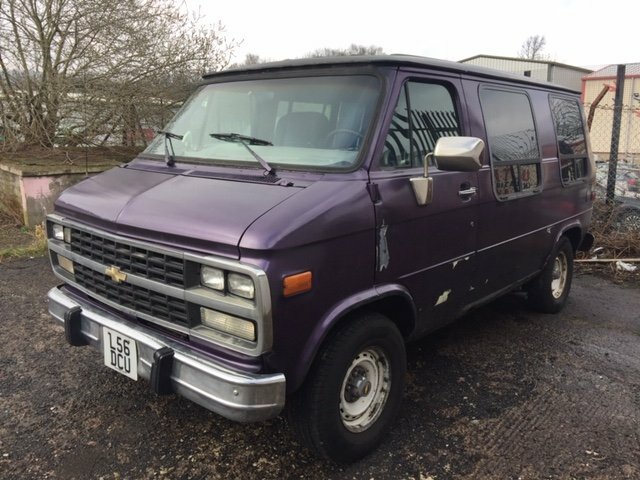 The van is MOT"d till end of April and can be driven away although depending on distance you may be better transporting but that"s up to you. Has 4 good tyres with plenty of tread and recent plugs and leads. It originally had an arch and skirt kit fitted and over the years this has acted as a water trap and corroded the sills and arches underneath. Sill repair panels are available from us and we can supply at additional cost if required. The worst areas of the body are shown in the pictures but the whole body needs some TLC. Due to this van having a rare standard low roof for a dayvan, it would make an excellent base for a custom/boogie 70"s style van project. Interior is in average condition, with rock-n-roll rear bed, captains chair, blinds all round and original cassette player. The original skirt/arch kit along with rear spare wheel rack and a few other spares will be included in with the sale if required.